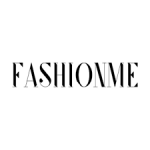 Women looking for classy and contemporary fashions that are regularly updated with every season will want to look to the Fashion Me online boutique. Working with designers from around the world to come up with a limited-edition collection every three months, customers will be able to shop tops and bottoms, jeans and pants, outerwear and accessories, as well as a whole lineup of footwear pieces. Outgoing collections are added to the Clearance section of the site where customers can find merchandise discounted by upwards of 60% off or more. Take 15% off of your first purchase of $79 and up when you sign up for the free Fashion Me email program.